It's almost time for the blue ajuga to be in bloom again. 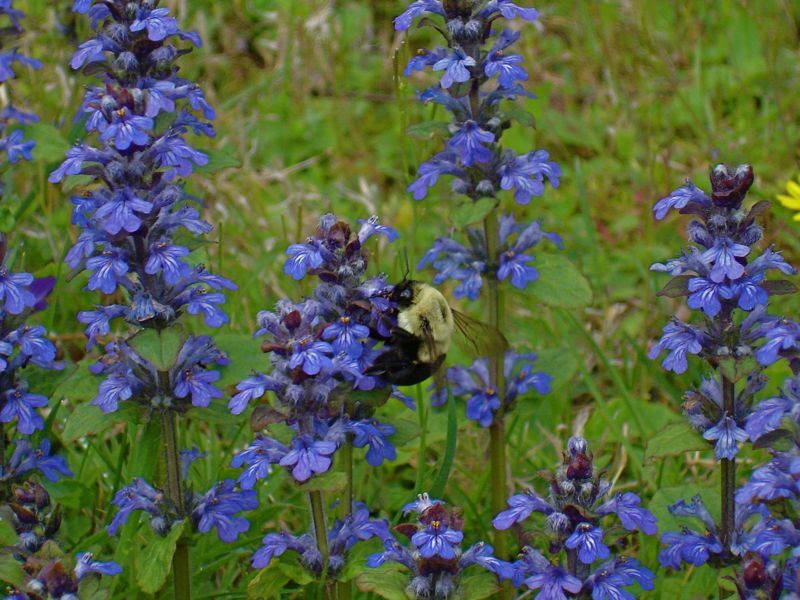 This picture was taken a couple of years ago as this bee buzzed from bloom to bloom through this carpet of bugleweed. It's fun when there is a large patch of bugleweed and a few bees. They really do play a little tune. We'll even buy a regular polo in the very casual places, as long as you promise not to make it a uniform..